Hello ... Hello ... my old friends ... It's great to see you once again! ELO Beatles Forever [ELOBF] has been pleased to highlight the quirky musical vehicle of local musician, songsmith and producer Pete Hackett that is Cult of Wedge [CoW] over the last few years. Indeed, any artist who describes themselves as being "... a bit like a car crash involving members of ELO, Genesis, Human League, Kraftwerk, Motorhead and Yes ..." is worthy of much more significant music media attention than that of Yours Truly KJS and ELOBF! So what then of this the latest outing? The preceding three Cult of Wedge albums: "Tape Recorders Changed Everything", "On The Green Seventy Seen" and "Another Ten Songs About Death, Hurt and Misery" give no clue to the change in style being presented by the pride of Rowley Regis. This album in places could be described as progressively edgy ... and it is. There is a heavier overall feel to the collection of eight new songs that are "Jack's Bazaar" yet also a lighter underside too. This is an album that is no more experimental or progressive than early ELO between '72 and '73. First up are the heavy guitar riffs and raw power of the first three rasping songs which are the title track "Jack's Bazaar", "Mr. Mystery" and "Heavyweight". These songs exude power and clearly mark a maturity in the song craft and production of Mr. Hackett. Contrast that with what comes next. The sheer rock of the first three album openers give way to the jangly guitar and clever unpolluted astronomy of "The Sky At Night" and the dreamy, maritime yearnings of "Sailing Away" before the masterpiece that is "We Have The Right To Starlight" reaches the eardrums. Track #6 is an instrumental beauty with sublime guitar licks, throbbing bass and superb synthesised strands that simply must be a nod, if nothing else, to the work of ELO keys maestro Richard Tandy. A real credit to the programming skills of its creator and my album favourite and, in my opinion, it could easily be mistaken in places for a lost track from the "Time" or "Secret Messages" sessions. This impressive album closes with a return to rockier themes and some fantastic guitar work a la The Beatles' "She's So Heavy" and The Move's "Brontosaurus". "The Mouth" is a mini-opera in and of itself, sure to please die hard prog rock lovers and rockers alike. The finale is the lyrically darker "I Spawned A Monster" - another track that ELO fans will love with its similarity to keyboard wizardry of "Daybreaker" in places and its oft change in tempo. 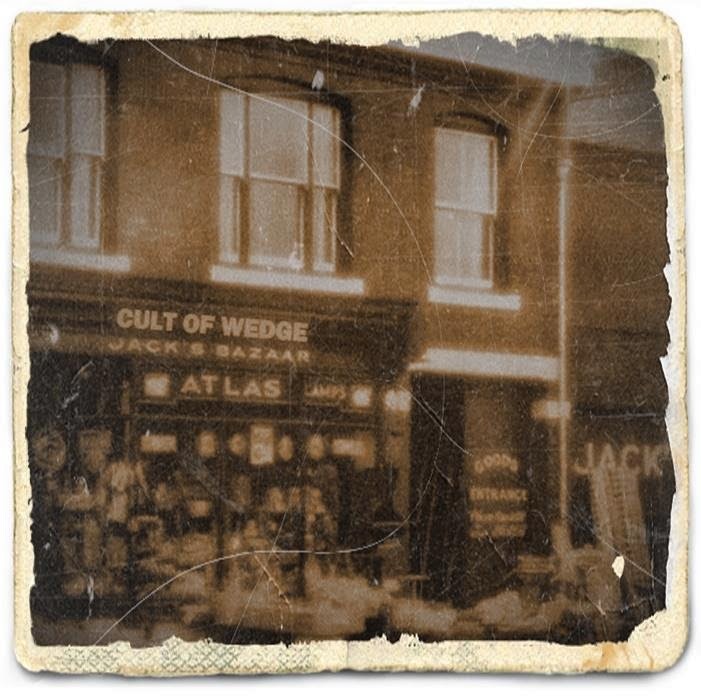 ELO Beatles Forever [ELOBF] recommends "Jack's Bazaar" by Cult of Wedge to those enlightened folks who enjoy the music of ELO, Jeff Lynne, Roy Wood, The Move, The Idle Race, 'Brum Beat', The Beatles and related artistes. New COW! Great music Mr. Hackett!!! The Black Country's answer to Karl Wallinger!